It has been fascinating to visit Charles & Ruth Simpson at various stages of the construction of Simpsons Wine Estate in Barham, Kent over the previous two years. 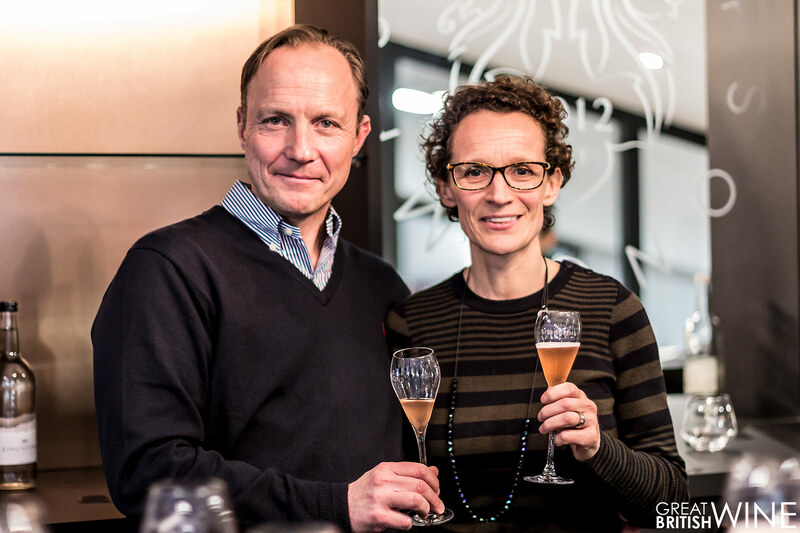 The husband and wife team have been running a hugely successful Estate in Languedoc for the last 16 years, returning to England in 2012 for a new and exciting home-grown project. We first visited the estate in May 2016, witnessing the planting of the second 30 acre vineyard plot and a then-empty farming unit due for conversion into a fully fledged winery. 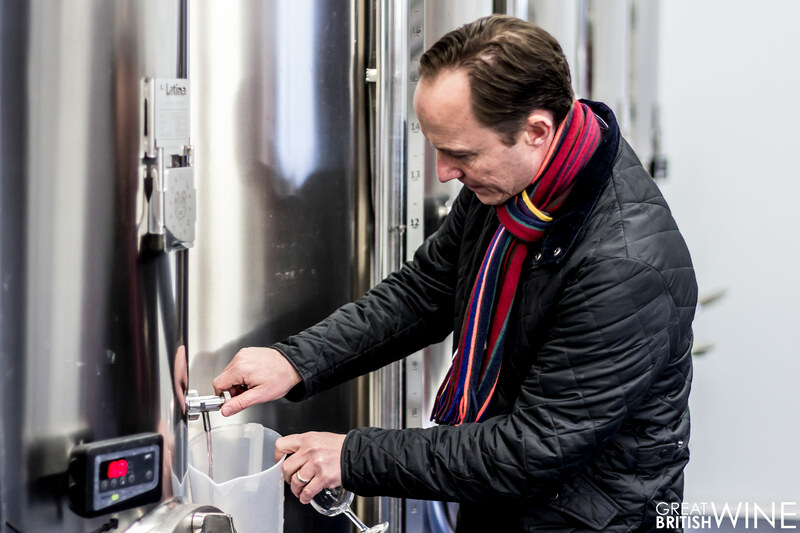 Last year, I was back to see the winery fully imagined, home to a state-of-the-art Bucher Vaslin inert press and a vast array of shiny temperature regulated fermentation tanks. With the Estate's first sparkling wines due out at the end of the year, I jumped at the chance for a return visit to have a sneak preview of the first wines. 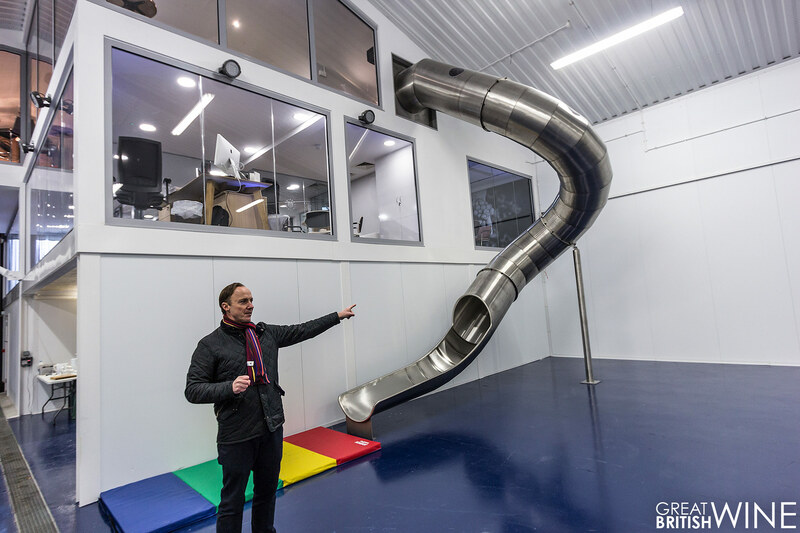 It was also a chance to visited the new Glasshouse tasting room and to discover if Charles had delivered on his promise to be the first winery in England to have an integrated helter-skelter! Arriving back in Barham, we were greeted by a now familiarly enthusiastic Charles and Ruth. Charles was buzzing about the prospect of sharing the Estate's wines with outsiders for the first time. He was also very excited about the formation of the Wine Garden of England; a collective of Kentish wine producers that will form a wine trail and high-end tourism destination. 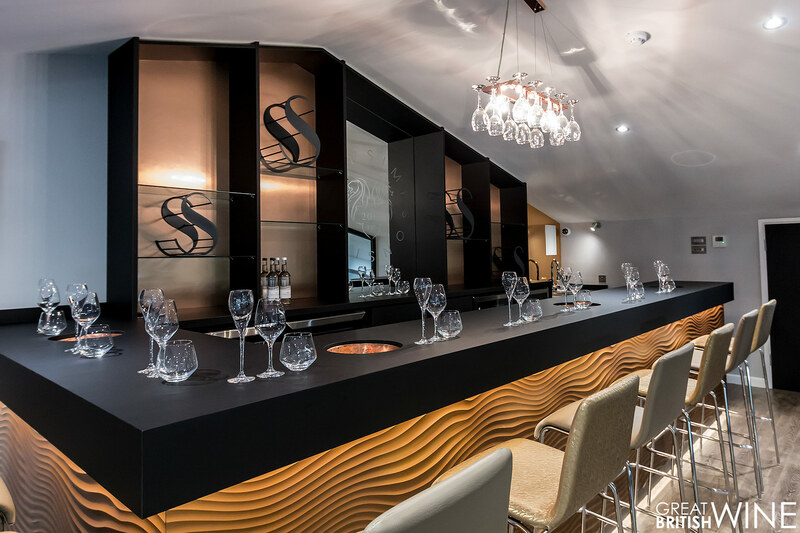 The Simpsons Wine Estate will join Chapel Down, Gusbourne, Hush Heath, Biddenden, Squerryes and the even more recently established Domaine Evremond. Full details of the Wine Garden of England will be announced later in the year. Charles eagerly took us through to the winery, and after a brief overview of the equipment (more on this in last year's Official Winery Launch), the group was given a chance to sample a selection of 2017 base wines. Firstly, we tasted a vibrant Pinot Noir, which will be a component of the 2017 sparkling rosé. The inert pressing has preserved a distinctive bright pink colour, echoed by pronounced red berry and candied flavours. The next wine, also a Pinot Noir, was quite a contrast. Lighter in hue, almost bronzed, this wine had terrific structure and robustness with brilliant acidity that should form the base of a more serious sparkling wine. No surprise, then, that it will be used to produce a Blanc de Noirs. Finally, we tried a Chardonnay Champagne clone that will also go into sparkling wine production. This had brilliant precision, bright and promising with crunchy green apple and citrus character. All of the base wines demonstrated exceptional purity and were a great indicator that the 2017 wines will be delicious, albeit somewhat limited in supply once again. The tasting of 2017's fruits of the labour brought us to a discussion on harvest 2017. While driving us around one of three vineyards, Ruth explained how, like many producers, the frosts in 2017 had affected them. Despite all research and information suggesting that the plots of land selected by the Simpsons would effectively be frost-free, the combination of devastating air frosts after an early April bud burst caused an estimated loss of 60% of the potential crop. The net result was a harvest in the region of twenty tonnes of grapes, equalling the amount harvested in 2016. While fingers stay crossed that last year's events were a freak occurrence, a significant investment into tow and blow machines will ensure a more belt and braces approach is taken this year. With the second 30 acres of 2016 plantings also due to yield their first harvest, this year should see a significant increase in tonnage. It was a particularly British February morning; cold and miserably wet, so after a drive around the Roman Road vineyard it was time to head back to the winery and a tasting of some more wine. With the upcoming unified tourism experience mentioned at the top of this article, Charles and Ruth have spared no expense in ensuring a comfortable and unique visitor experience awaits future guests. Located on the second floor above the integrated offices, the aptly-named Glasshouse tasting room overlooks the activities of the winery below. Plush high stools, moody black and grey tones, with copper embellishments and stylish glassware ensure a suitably premium feel. Perched on the stools surrounding the bar, Charles talked us through a slideshow showing the development of the Estate since the land had been purchased in 2012. It hit me just how quickly the Simpsons plans have come together, and after catching a glimpse of a couple of photos of yours truly during the slideshow, I was very much ready for a taste of some wine. Ruth first poured the very rare Roman Road Chardonnay 2016. Only 600 bottles of this still Chardonnay were produced last year. While Charles had said they would never make a still wine, the urge to release something for people to actually taste and perhaps a few less than subtle suggestions from myself and Robbie Priddle led this wine to come into existence. While I would like to think that the last point is true, in fact, the fruit from the Burgundy clone 548 Chardonnay was deemed so good that it had to go into a still wine. 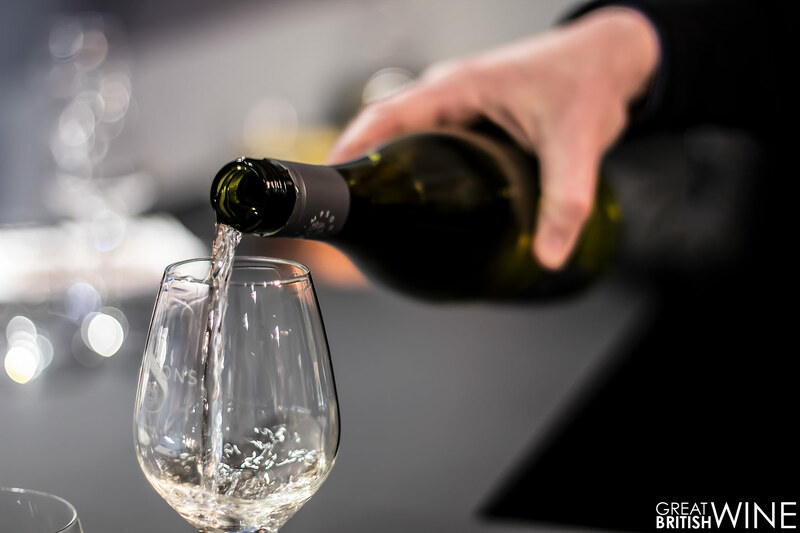 The wine was met with an encouragingly positive reception from day one, despite being unveiled to the wine press just two weeks after bottling. Though still in youth, the 2016 Chardonnay has evolved amicably since we last tasted approximately 6 months ago. The nose has opened dramatically, with bright, clean orchard fruit, Chablis-like minerality and subtle oak spice. It's remarkably refined to taste, with the oak now feeling a little prominent, though expertly integrated with crisp apple and minerality. It was fantastic news to hear that still Chardonnay is very much on the agenda moving forward. Our next treat was to be amongst the first people outside of the Simpsons team to taste their first sparkling wine. 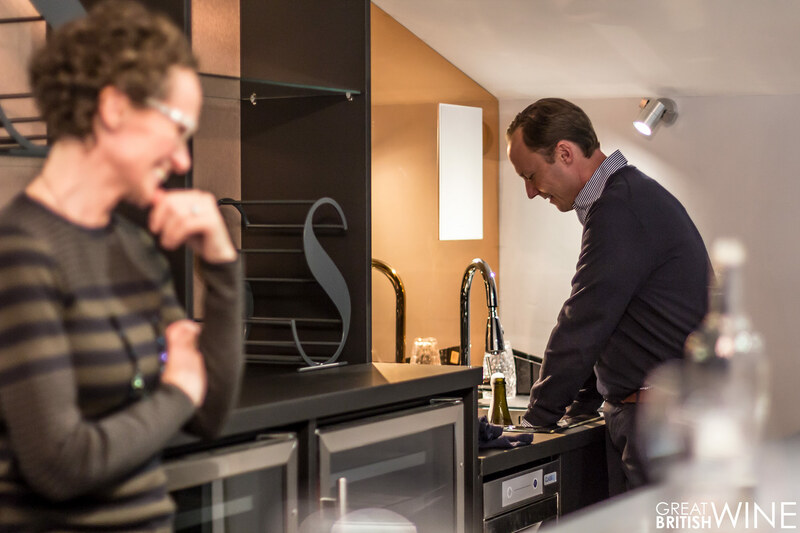 The pre-disgorgement bottle opened excitedly, almost taking Charles's hands off in the process before proudly pouring it. While still cloudy due to the presence of the lees yeast, the wine sat exhibiting the same striking pink hues as the 2017 Pinot Noir base wine tasted earlier during the visit. It had pronounced wild strawberry and raspberry notes, so very pure and clean, despite the residual yeast; a very British rosé expression, with those precise red berry characters continuing through to the palate, laden with a delicate minerality. This constituted a hugely promising start for something so very young, and a great sign of the purity and clean fruit expression that the inert grape press allows. With the tasting complete there was only one thing left to do - to have a ride out of the tasting room on the helter-skelter. All it took was for Charles to lead the way before the group was transformed into a pack of excited kids giggling their way down the slide at a surprisingly brisk pace. And this was only after a brief tasting, I can't imagine the potential antics after a more intense drinking session! 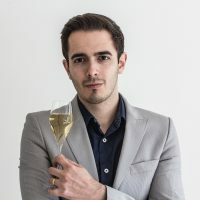 It's an inspired move and a very playful way to exit what can often be seen to be an overly serious world of wine tasting. 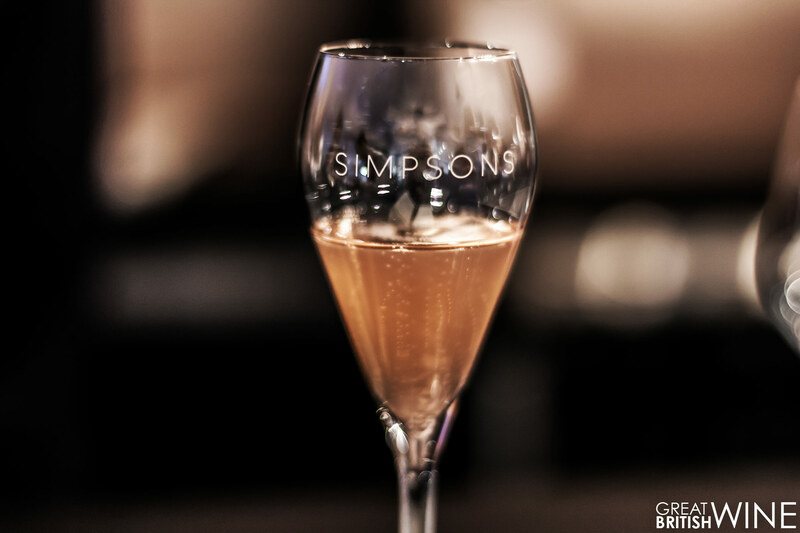 So what's next for Simpsons Wine Estate? The end of the year will see the release of two wines including Beora Brut 2016, an 'expressive' sparkling blend of 80% Chardonnay and 20% Pinot Noir. The Beora was crowdfunded through Naked Wines and is due to go out to Angel investors in time for Christmas. Secondly, the sparkling Pinot Noir Rosé 2016 we tasted during our visit is also due pre-Christmas and will be available to purchase directly or from select retailers. Further ahead, we can expect a Blanc de Noirs next year and a Blanc de Blancs some time in 2020/21. We had a sneak preview of potential branding ideas for the core sparkling wine range and they look stunning. I just can't wait to see and taste the finished product later in the year and very much look forward to another trip to see Charles and Ruth in due course!